Home > Car Seat Guides > What Is The Best Dog Car Seat? Why do you have a review on dog car seats at all? We have to admit that it is really outside of our research site’s scope, and yet, it is somewhat relevant if only barely. What we typically do is reviews on car seats for children. Those are very specific types of product. They all follow a certain pattern, depending on the age, a pattern dog car seats do not really fit. 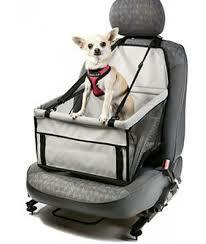 However, a dog car seat is still a product relevant to road safety, especially in the event of a car crash. While most people would undoubtedly agree that children are more precious than pets, that does not mean pets do not deserve to be secure if things go wrong. A dog car seat, as the name implies, is a safety device for dogs. It is not necessarily a restraint system but most dog car seat do come with restraints. It also serves sanitary purposes. It should be said that dog car seats are mostly forward facing. Crash testing is not quite as popular with animal products but it is still known that a dog car seat reduces the rate of fatal injuries. Do not assume your dog will be fine in the event of a car crash because it is not human. You cannot count on the standard safety measures. The force of an airbag’s impact is more than enough to kill a small dog. Seat belts are not designed to offer security to animals either. They can easily kill them in a frontal collision. This bucket seat will be perfect for dogs under 25 pounds. If your dog is large, it would be better to get another booster. 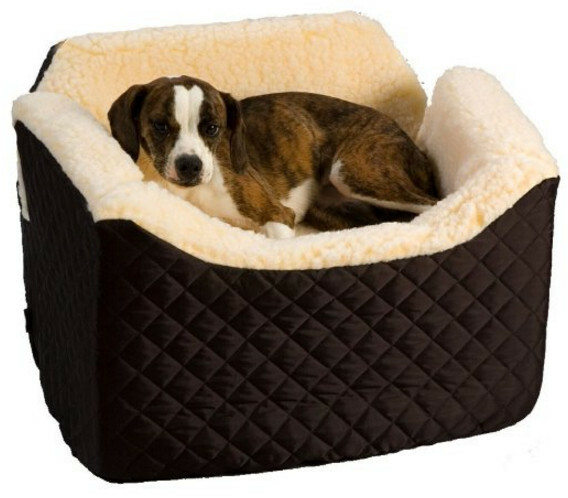 But if you have a small doggy, perhaps, this pet seat will be the best choice for you, unless your dog likes to dig. Regrettably, the lambskin cover may be unable to survive that. 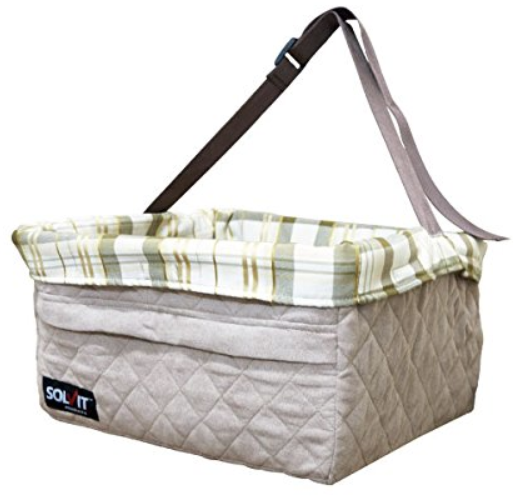 When it comes to safety, this Solvit Jumbo seat is one of the best options available. The safety tether can withstand a force up to 2,000 pounds. Perhaps, it’s a little bit excessive for small dogs, but it also means that the tether won’t break no matter what. And your beloved pet will be all right. The Solvit booster will elevate its passenger nine niches above the car’s seat. This will allow your pet to enjoy the view and, what’s even more important, will prevent motion sickness. The frame is exceptionally rigid and hard. You can’t find better protection for a better price no matter what you do. At the same time, the seat can be easily assembled and disassembled. The walls are made from sturdy plastic panels, which can be easily replaced. Do note that this is not a safety issue. The walls mostly serve aesthetic purposes. What is it that most dog owners hate? Elaboration: what is it that they hate that comes from their dogs? Indeed, while some crafty lifehackers will treat the shedding hair as a resource for the yarn for future sweaters, to most people, it’s an annoyance they have to bear with. Of course, most dog owners have their ways to control the situation. One of the most popular solutions is not to let the dog where you don’t want dog hair to be. It’s simple but also practical. Unfortunately, when it comes to car rides, you can’t use the same approach. You have either to leave your pet at home (which may not be possible) or to expose your car to the dog hair. Or do you? A car seat can be just the tool to prevent such an outcome. But not all car seats are designed to contain dog hair, their primary concern is the safety. Fortunately, there are some pet boosters designed with this particular issue in mind. This Deluxe Dog Booster from Devoted Doggy is your best bet when you want to keep the dog hair contained. The removable plush liner will trap most of it. The booster is useful for preventing motion sickness, but it doesn’t make it unique. Most of pet boosters do the same thing. The collapsible metal frame, on the other hand, is not a feature many pet boosters share. This seat can only accommodate small dogs, up to 20 pounds. It’s unfortunate, but that’s how things are. Unfortunately, this pet booster is not foldable. That shouldn’t stop you from buying it, of course. After all, such a design means that the seat is very sturdy. Indeed, there is no need to worry about breaking it. The booster is not very sophisticated, but neither is it unreliable. In fact, the traditional design makes it a perfect purchase for those who prefer time-tested solution. Even though one might say it looks like a brick, that’s not a bad thing. 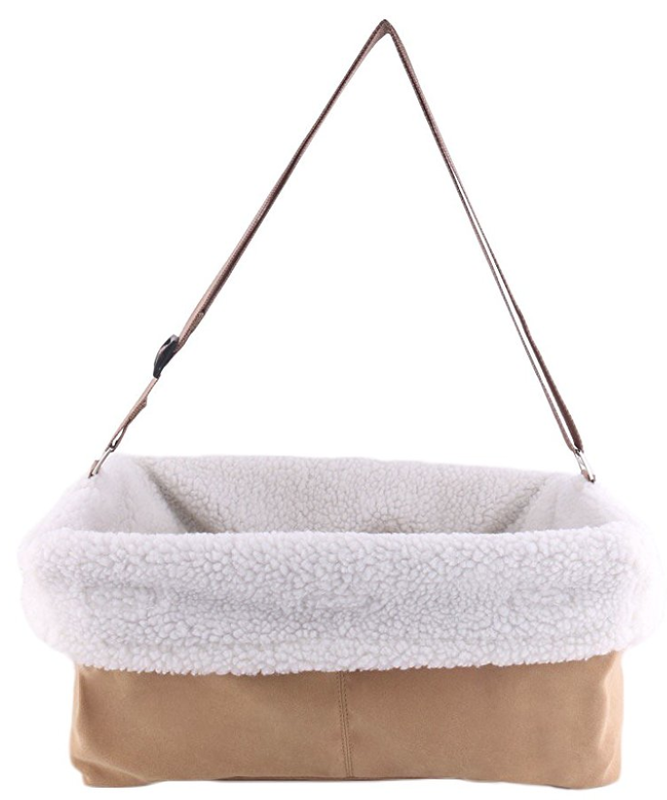 The plush liner is very stylish, and your dog will like it. Unfortunately, even if your dog loves it, the seat cannot accommodate dogs heavier than 45 pounds, so, as you can see, there is a limit. Unfortunately, you will not be able to use this seat if you have a St. Bernard, not after he or she is not a puppy anymore. This seat is only good for small and medium dogs. The liner is removable and machine washable. What’s even more important, it is two-sided. One side and light and smooth. It is perfect for summer. 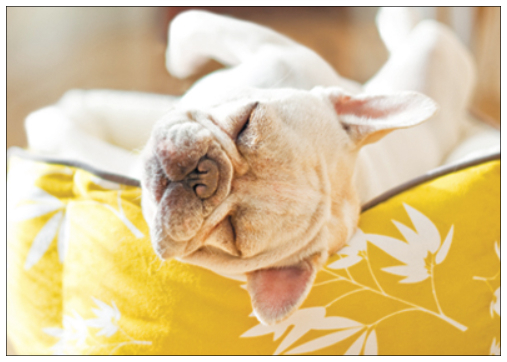 Your furry friend will be comfortable no matter how hot it is outside. The other side is dark and fluffy. An ideal counter to frosts. Such a design makes the Petsfit Lookout Seat an all-weather safety solution. One of the primary functions of any pet booster seat is to prevent distracted driving. Of course, any booster seat helps with that, but the Kurgo Skybox is probably the best choice for those whose main concern is a misbehaving dog. You don’t have to worry about that anymore. 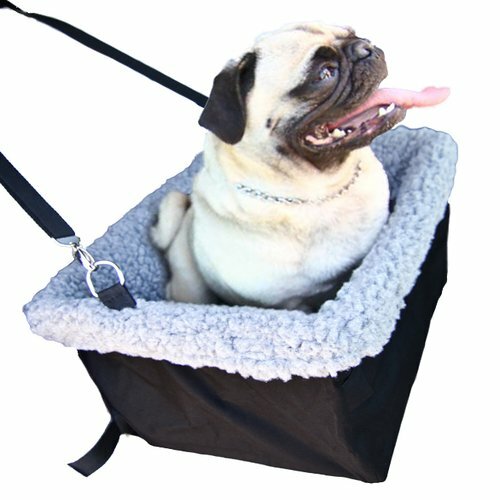 The seat will not limit your dog’s activity in any way but thanks to the included harness, the dog will be safely secured in it. While the walls of the carrier won’t constrain your dog, the harness will not let a pet get out of it, for you and your companion’s safety. 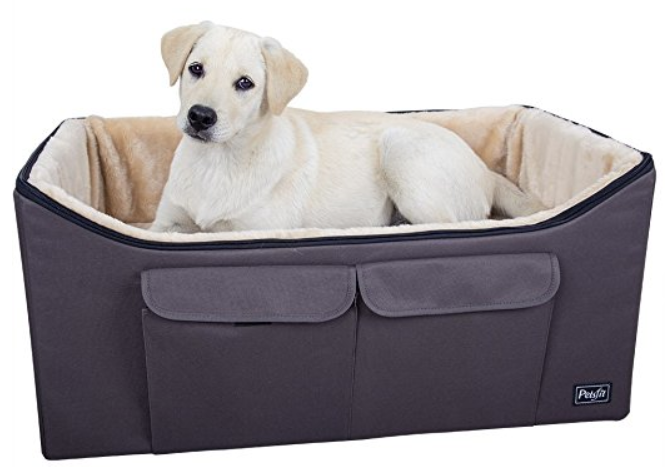 This pet booster does not require assembly, but it also means that you can’t just fold it flat and store under the bed. On the other hand, a solid frame is more structurally sound than a foldable design. That means you will get extra safety for your pet, but you will have to trade for comfort and convenience. As a waterproof seat, it will prevent your car’s seat from being stained, but that’s a given with any decent pet booster. Pets usually don’t control themselves too well, and a waterproof lining will prevent any fluids from soaking through. You will love this seat. Of course, it doesn’t sound convincing, but it is true, and if you get this booster, you will see that we were right. First of all, it is a large dog seat. Many people have small pets, but massive dogs still need to be restrained for their safety. This booster is capable of accommodating almost any dog. As long as your companion weighs less than 300 lbs, you can use this booster. In fact, you can accommodate two small dogs rather than just one. The booster is not attached to the headrest and rests on the car’s seat. One would think a booster like this won’t elevate pets at all. That is not entirely true. It does keep pets raised, but only six inches and a half. The booster is very compact and easy to carry when folded, even without the included carry bag. But the bag does come with the booster, so there’s no need for you to worry about that. As big as the problem with storing a pet booster is, it is non-existent in this particular case. The booster comes with two seat belt loops and a security leash. It can be used as a pet bed, so you don’t have to fold it to store it. This will also give you an extra advantage: no need to make your pet tolerate the seat. Just make it the main bed for your furry friend and use that bed as a safety device when traveling. The first thing we have to say about this seat is that it is easy to install. Of course, the same thing can be said about any pet booster attached to the headrest, but it doesn’t make it any less accurate. This booster looks lovely, but it is not its only feature. As a safety device, one should expect it to provide that safety, and to do that, a pet booster must have certain qualities. One them is a robust frame, which the Cozy Boost seat has. Made of metal, it won’t break easily even if you drop it on the floor, something a car seat with a plastic frame won’t be able to survive. The safety leash will keep your dog in the seat at all times. Metal is not the most comfortable material, but it’s not there for comfort unlike the silicone dish, micro-suede cover and fleece. It is a multi-weather seat, suitable both for cold and hot weather. 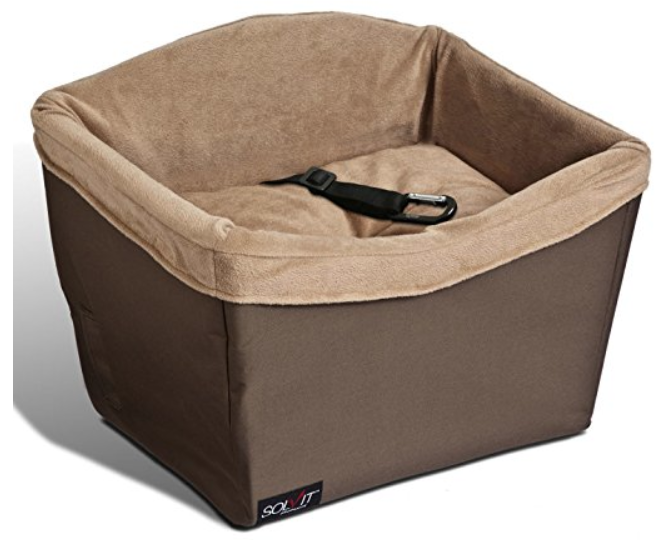 Made for smaller breeds, it’s still quite large and roomy. Why? Because it will give you the opportunity to provide your dog with pillows and blankets if your trip is going to be a long one. A seat made for small breeds. How small? We wouldn’t recommend it for a dog heavier than 18 pounds. It makes perfect sense, as this set is attached to the headrest. Even if you somehow make a German Shepard get inside and the booster will not break, your poor dog just won’t be able to sit there because of the roof. 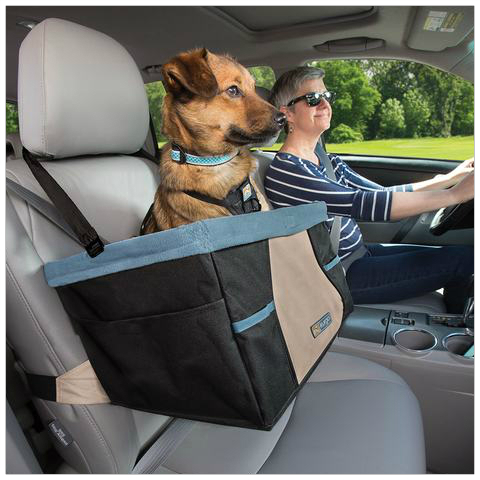 Aside from safety, one of the main features of this booster is to provide a perfect view for your pet. And indeed, without a seat like this, a Bichon, for instance, would just not be able to look out the window. 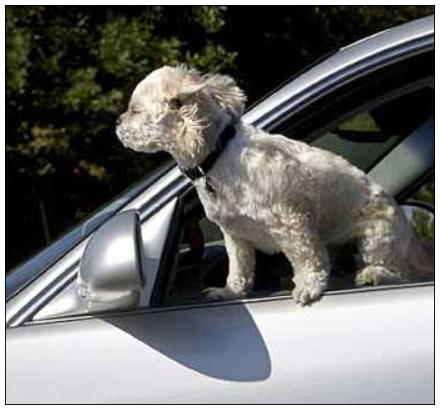 But don’t forget to use the safety lead when you make your little dog sit in there, especially if you open the window! While a large dog won’t be able to jump out of it, a small dog might. Thanks to its design, it is effortless to install. It may not be a unique design, in fact, it’s quite popular, but it is popular for a reason. And if you consider the fact you can customize the height of the booster, you will see it is a perfect product for a moderate price. Is it comfortable? Perhaps not for the hot weather, but the fabric is definitely something else. Durable and soft, it is also easy to clean. The pet gear booster is fairly nice a car seat. It is suitable not only for dogs but for cats as well. Unlike car seats for children, this car seat can accommodate two “passengers” at once, provided they are not too large. 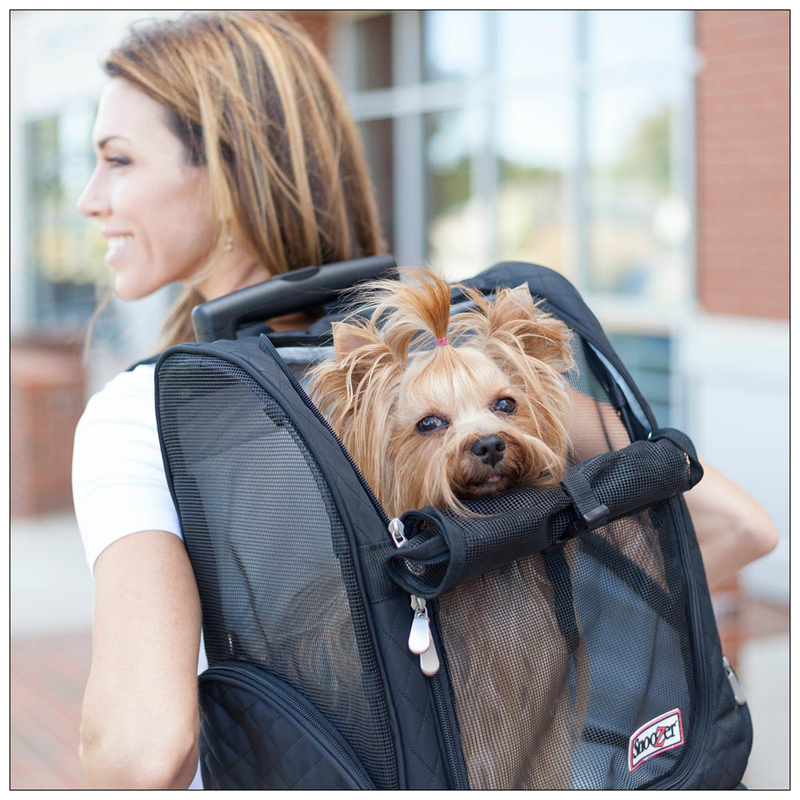 It can easily accommodate a dog up to 20 pounds of weight. The pets can be secured with the help of tether attached to the harness. The seat is layered with foam that has soft micro suede cover. It also comes with a removable pillow. What are the bonuses of using this particular car seat for dogs? First of all, this is a car seat for pets and it is good for cats too. That might be important for some people. Second, it offers a restraint system. Thanks to that, the pet is kept in place and cannot interfere with your driving. This car seat is not very costly. This seat is great for pets up to 25 pounds. It is more sophisticated than the previous car seat. First of all, it is equipped with Shepra lining that is capable of thermoregulation. It is exceptionally important both dogs and cats as they are not capable of sweating and, thus, self-thermoregulation. The quilted nylon cover is a good choice since it repels hair, which makes cleaning the car seat much easier. This seat, too, comes with a restraint system. The seat is layered with comfortable foam and wool. The Lookout is exceptionally cozy a seat. Safety straps are optional but it is recommended to use them. The seat is rather sophisticated and your pet would be very comfortable in it. You can buy this masterpiece for a relatively modest sum of money although it is definitely more expensive than some other dog seats and even some safety car seats for children. This seat’s designers have thought about many things. Among them is the fact a pet might enjoy the view as well as you. Because of that, the K&H Booster Pet seat elevates pets to give them a better view. At the same time, they are secured and restrained. 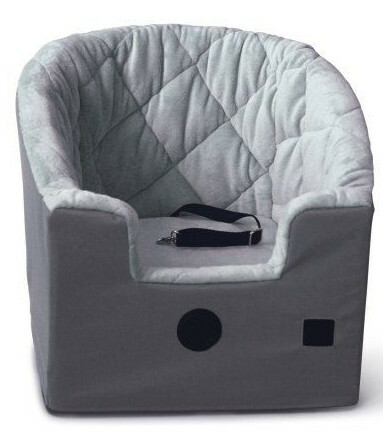 The seat is layered with 3-inch foam cushion and fleece. The car seat can accommodate up to 2 pets at the same time. The seat is very easy to install and uninstall. It is extremely comfortable for any pet as well as quite entertaining. The Bucket Booster is both cozy, entertaining (by virtue of giving them a view out of the window) and can accommodate two pets at once. All in all, this is the best dog car seat that is not overly expensive. And, of course, it comes with safety features. Is buying a car seat for a dog different from buying a car seat for a child? Yes and no. It Is different, but you should research them just as thoroughly as you should a child car seat. You do care about your dog, do you not? What is it that price has in common with many other factors? You have to take it into account before you even make a purchase. One of the first questions you will have to answer for yourself is “is it worth it?” in the most literal sense of these words. Of course, making your choice based on price alone is not a good idea. A high price does not guarantee high quality. 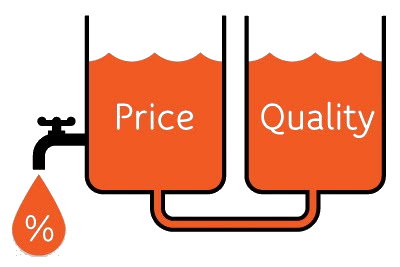 A low price means high quality is not something you should expect. Price is important, but you shouldn’t focus on it. Always pay attention to quality first. You can never pay too much attention to the comfort of your dog. Its size is just something directly tied to it. It’s only natural that a large dog cannot be too comfortable in a bucket seat. But how large? How big should the car seat be? Can it be too big? To put it briefly, yes. The car seat must not be too big. Otherwise, you will be sacrificing safety for comfort. High-quality restraint system may help you overcome that particular limitation, but you shouldn’t count on them. The rule of thumb is a car seat must have enough room for the dog to sit or lie down. If the dog can move around the seat freely, perhaps, it is too big to provide proper safety. There is a better way to entertain the dog than allow it roam freely: just get an elevated car seat, one that would let him look out of the window. Your dog will love it! A seat with a pee pad will make your travel experience even better. You would still have to walk the dog from time to time. But any mishaps would be just that: mishaps easy to fix. That said, you should focus on the weight more. If the seat is a little bit too long or short, it’s not a bad thing. The only situation where you should pay more attention to the length and width is if you’re taking a long trip. The three main things you have to consider when purchasing a cart seat for your dog are usability, setup and storage. You need to find out just how good the seat is in general if it’s easy to install and if it is convenient to store. A dog car seat is not something you will use every day. It’s not even something you’d have to use every month. You know this, of course, but most people forget about it when it comes to buying the product. They become overwhelmed with all the features available, just how safe the seat is, how beautiful it is, and forget about having to install and pack it routinely to store it. But that is just as important as design, if not more. The first thing you must pay attention to when buying a car seat for your pet is how easy it is to pack away and set up, and if you have enough room to store it. That’s what you will have to deal with every time you use it. Thankfully, most boosters are designed for easy removal and storage. The thing you must pay attention to is if it is easy to fold or not. Of course, while storage, usability and installation are essential, they should never be the only thing you take into account when buying a car seat for your pet. A car seat is a safety device first and foremost. If a seat is not safe enough, if it doesn’t offer enough protection for your dog, you’re better off without it – and with a different one. How well the seat itself is attached to the car’s seat. If a car seat does not meet either of the criteria, then it’s not worth buying. It’s just not safe enough for your dog to use. Of these two criteria, the seat’s attachment to the car seat is even more critical. If the pet car seat does not stay in place, it offers no protection. It’s quite simple. However, it doesn’t mean that restraining your dog is something you can neglect. It is essential to have your dog secured in the car seat. Make sure to examine every strap and leash, and if the can restrain your dog without harming it. Your pet’s life is in your hands! The seat will have to be cleaned, eventually. Any pet car seat can be cleaned. But how easy they are to clean, that depends on how often they have to be cleaned. If you walk your dog on dirt tracks or he is merely dirty, you need a car seat that is even easier to clean than other models. 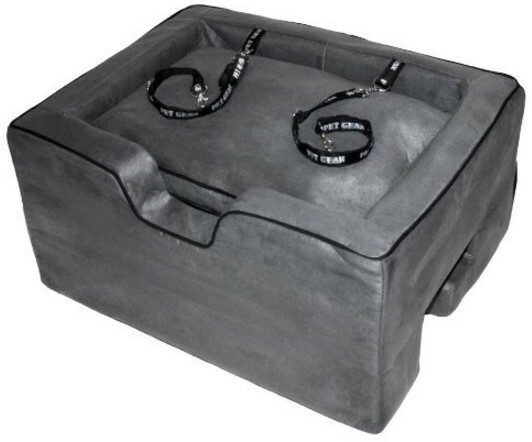 Materials used to make the pet seat are directly tied to its quality as well as durability. They will determine how comfortable your pet will be, how easy it will be to wash, and how good it will look. The material is the key to just about anything when it comes to pet boosters. Of course, it doesn’t mean that the seat is necessarily made from one material. Usually, people mean the liner when they are talking about materials, and the frame of the car seat is often forgotten. Things like pads are not taken into consideration at all. The best material for the frame is metal. It doesn’t really matter what alloy precisely, any metal is better than plastic or cardboard, which some manufacturers do use. Only a metal frame car seat can offer sufficient protection. The liner should be easy to remove and easy to wash, which is obvious. What isn’t obvious is that a pet booster should come with a floor pad made of softer materials, for added comfort. When buying a car seat, people often only think about the booster itself and its future little passenger. But there is one more concern many people disregard until it is finally the time to install the seat. By that time, it is too late to do anything, other than to get a new booster. Or a new car seat. 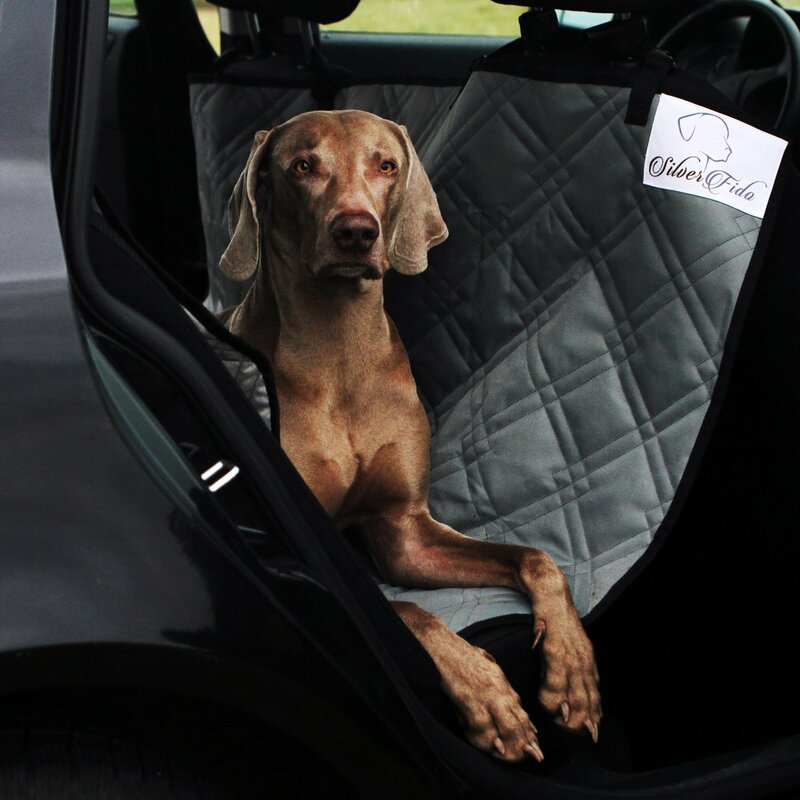 If you have an expensive car, and its interior is made of leather, you should either get a pet booster capable of containing the pet and preserving your car seat. All too often a pet booster will scratch the seats in the car. 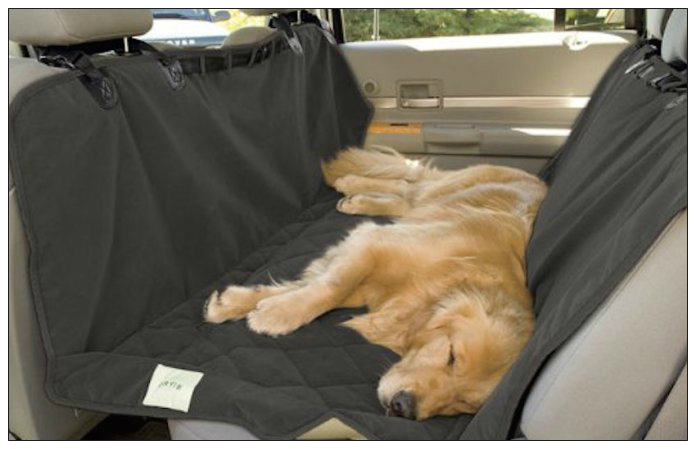 We recommend that you get a car seat cover and use it with the pet booster. Your car’s design must be compatible with that of the pet booster you intend to buy. Some boosters are attached to the headrests. If your car doesn’t have them, you might have a problem. If you plan to use the car seat for short trips, getting an expensive model will be an overkill. Pet boosters are not very different when it comes to safety, but the level of comfort may vary considerably. If you think that you may travel for hours, we recommend getting a more expensive model. Otherwise, there is no point. Dogs are dogs. But certain breeds are unique, not just in how they look or behave, but also in what their requirements are. Perhaps, your pet has special needs most dogs don’t. We recommend that you research about your dog before making a final choice. In the front or the back seat? If there is a choice, always go for the back seat option. Airbags are potentially lethal for an average dog, and a pet booster in the front seat will distract you from driving. It is best to position the booster behind the driver’s seat (that will allow you to check your dog in the mirror) unless you can install the pet seat in the middle seat. If you have a three-row car, you should choose the middle row rather than the back row. Keep your dog close to yourself, and he will be fine. Sometimes, putting the pet booster in the front seat is the only option. If you do that, the best thing you can do is turn off airbags for the passenger seat. If you cannot do that, put the seat back, as far as you can. That will reduce the chances of the airbags hitting your dog if they go off. A good as a dog booster seat is, it is not always the answer. Sometimes, you can’t find a car seat that would meet your dog needs. Sometimes, your dog just doesn’t like car seats on principle. Sometimes, a car seat is just not capable of accommodating a pet the size of your dog. Is there a solution? The short answer is yes. In fact, there are two alternatives, not just one. 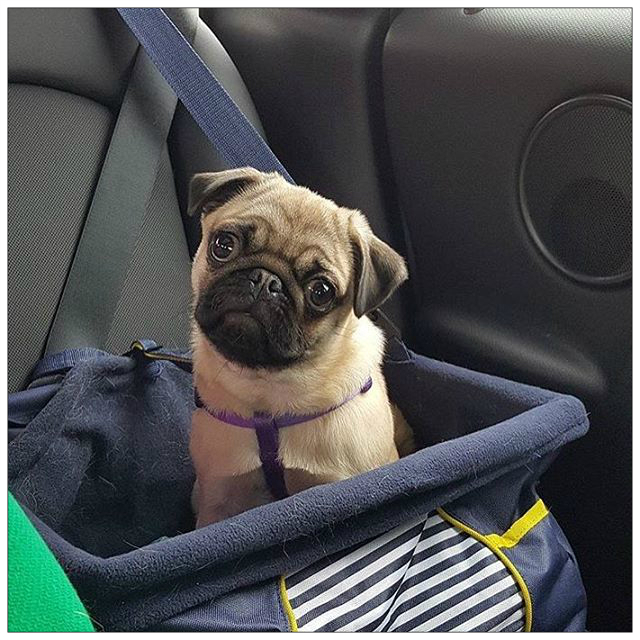 We recommend using a dog harness whenever you can’t use a booster seat. It won’t prevent your dog from sliding, which is why a booster is preferable, but it will do its best to keep your dog in the seat. Essentially, it is the dog equivalent of a seat belt, except that a seat belt is better suited to be a safety device. Regrettably, a dog’s anatomy makes keeping it in place rather hard. Another choice is to use dog travel crates. This should be your last resort, but not because of safety concerns: not many dogs will be content with being put in such a box, and definitely not larger breeds. But if your dog is too small for a booster or harness, use a travel crate. 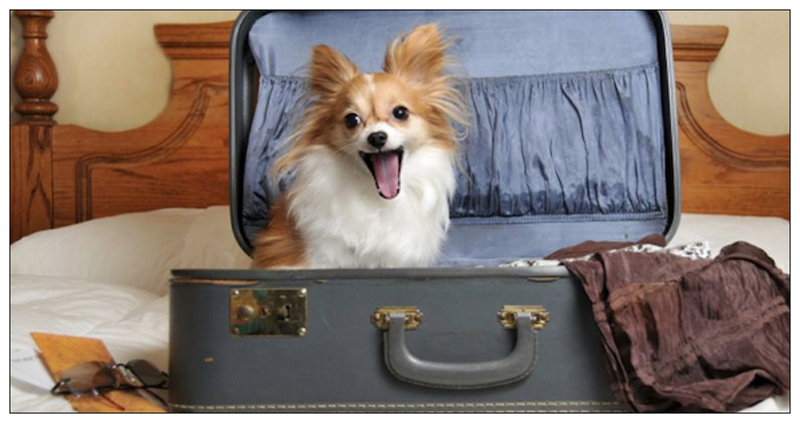 If your dog is exceptionally easy to excite, restless and difficult to restrain, use a travel crate. If you plan on using a dog crate anyway, well, you might as well use it for the travel itself. If you think there is another option, well, as long as it’s safe and comfortable (and distraction-free), there is no reason for you not to use it. 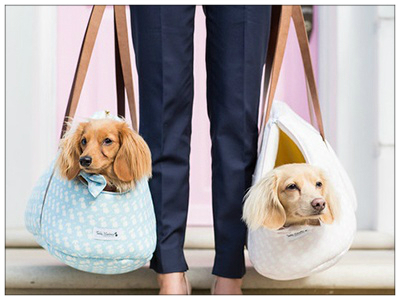 Let’s suppose a doggy seat is precisely the thing you need, not a harness or a travel crate. Does it mean you should go and buy it now? Not unless you know exactly what type of dog booster you need. Fortunately, even if you do not, we are happy to tell you everything about them. Not that there are many types, to begin with. As far as dog boosters go, they are divided by how they are attached to the car’s seat: they are either attached to the headrest or rest upon the seat itself. Does that affect the level of safety of your dog? No. But it’s crucial for comfort. If you have a small dog, a booster attached to the headrest will offer a perfect view for your companion. Such boosters are mostly used for this very reason. They are connected to the top of the car’s seat, and it’s only natural that they can offer your dog a good view. You don’t have to buy an elevated car seat, but if you want to keep your dog entertained, then it is your best choice. If you do purchase a dog safety car seat, it is only expected that you would need something to protect the car’s seat. The purpose of car seat covers and protectors is more than just prevent it from getting dirty or scratched. 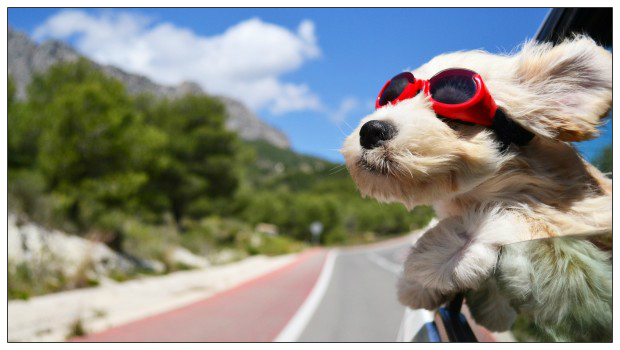 One of the main reasons is to make the ride comfortable for your pet. There are three types of pet car seat covers. A cover for the car’s seat to protect it from the dog. SilverFido addresses those problems as well as such unpleasant things as drool, dog hair, and scratches. 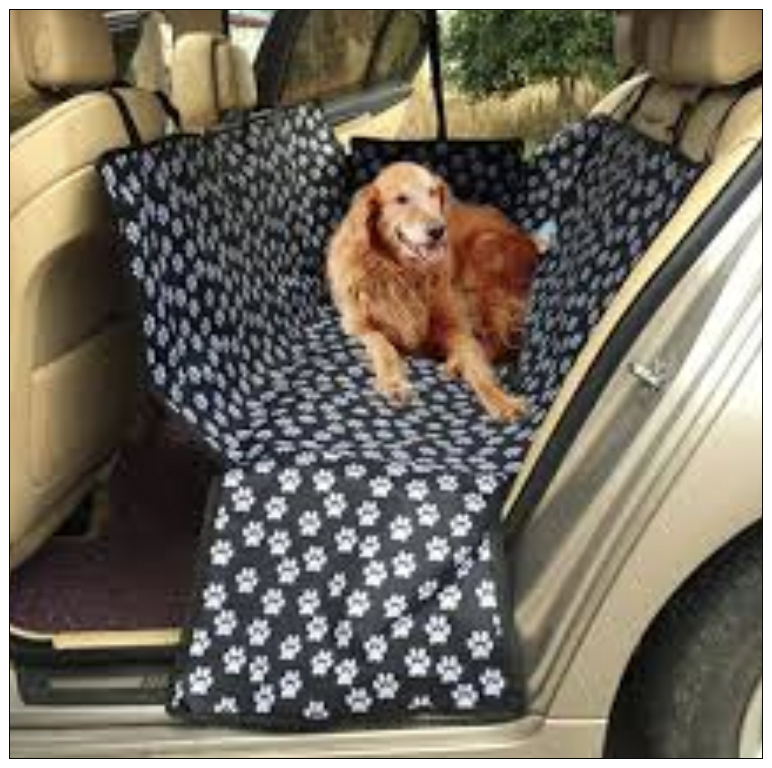 Their dog car seat covers are waterproof and would make an excellent supplement to any of the dog car seats mentioned above. This option means that the dog rides without a car seat. This is usually the case with large dogs. Use a safety harness instead. A cover for the car’s seat to protect it from the booster seat. 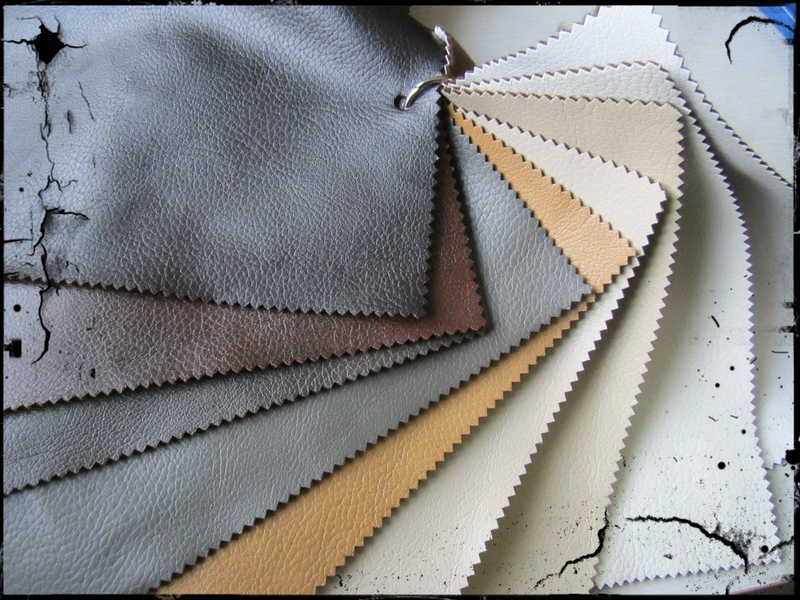 It’s not always needed, but if you have leather seats in your car, perhaps, it would be a great idea to protect them from the base of the pet booster. A cover for the booster seat. 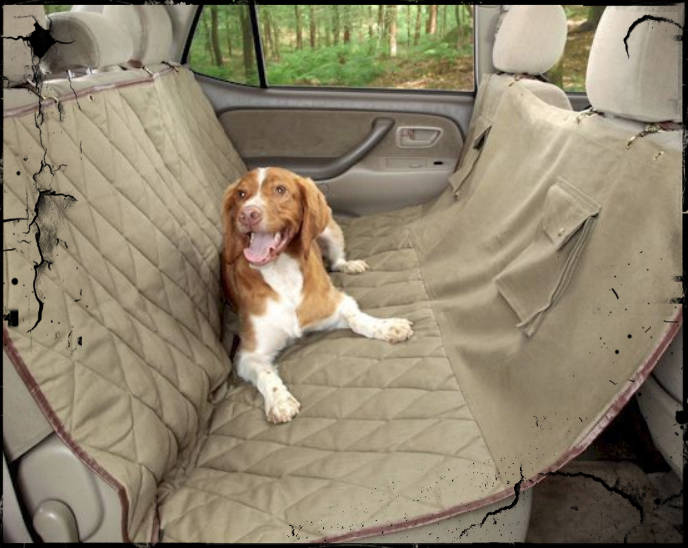 It may seem unnecessary, but using a cover with a pet seat may extend the seat’s life cycle significantly. Pets are not like human babies who are always weak and helpless. A dog may be small, but still an adult animal. Animals have teeth and claws. What does that mean for you? Your beloved pet can destroy his or her car seat over time. If your little dog loves digging, using a cover is a great idea. It’s not always possible to obtain a car seat cover when you need it. In that case, we advise using an old blanket as a makeshift substitute. However, a car seat cover’s purposes are not limited to protecting car seats from damage. After all, it’s pet’s we’re talking about. And what is it that almost all pets do? They shed. Yes, there are pet boosters that can deal with that problem, in fact, many of them will preserve the car’s seat from dog hair. But it would be a good idea to protect the pet boosters themselves. There are a few thing you will have to pay attention to when selecting a car seat cover. First of all, it’s the quality of the fabric. A car seat cover must meet specific standards. But durability alone isn’t going to cut it. It’s okay to use some kind of rough fabric if you are going to use it as a pad between the booster and the seat. 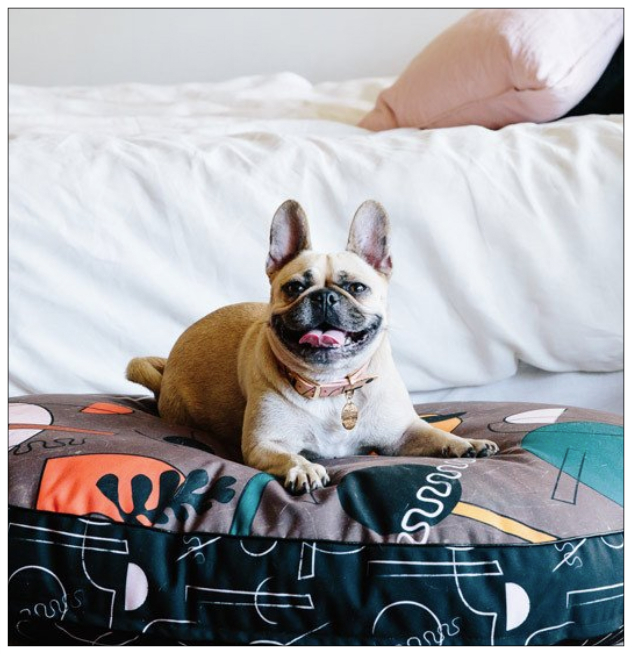 But if your dog is going to sit on it, you need a high-quality, comfortable fabric. We don’t recommend using synthetic materials if that is the case. The second thing you will need to consider is how easy to clean the cover is. It’s especially true for the covers intended as pads between the booster and the seat. Either way, this is one of the most important things if not the most important. If the cover is not easy to clean, there is no point in purchasing it. You would be better off using a blanket. The third factor is durability. Perhaps, not the most critical thing for baby car seats, but crucial when it comes to pets. Pets can and will scratch the seat or bite it. To prevent damage, the car seat cover must be made from a durable fabric. It is especially true if you’re not using a pet car seat. Last but not least, you should take ease of use into account. The car seat cover should be comfortable to set up and convenient to store. That’s one of the reasons you need a cover in the first place, or any makeshift alternative would be better. A car seat will protect your dog in the event of a car crash. However, particular conditions must be met for that scenario, other than the car crash itself. First, your dog must sit be in the car seat. Second, your dog must be attached to the car seat. And sometimes those conditions just can’t be met. Some dogs are too big for a pet booster. Some dogs are too small for it. You can use a safety harness instead, but that would not necessarily protect you from distracted driving. What to do? The best solution is to use a barrier. 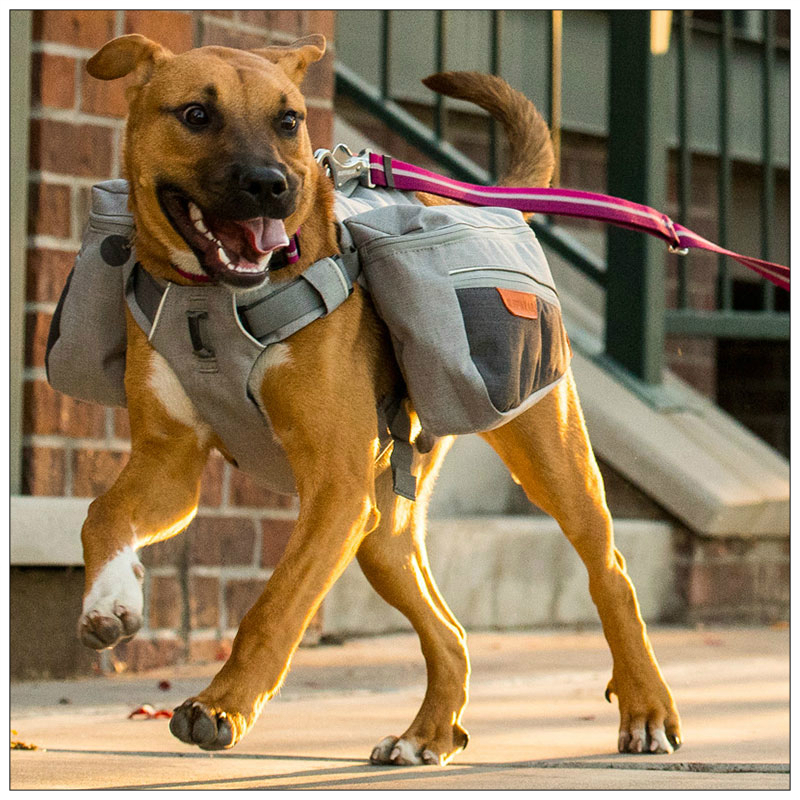 Do note, it is not an alternative to dog boosters or harnesses. It is something that should be used with them. You can, of course, use them standalone, without either a booster or a harness, and that would limit the risks, but we do not recommend such practice. 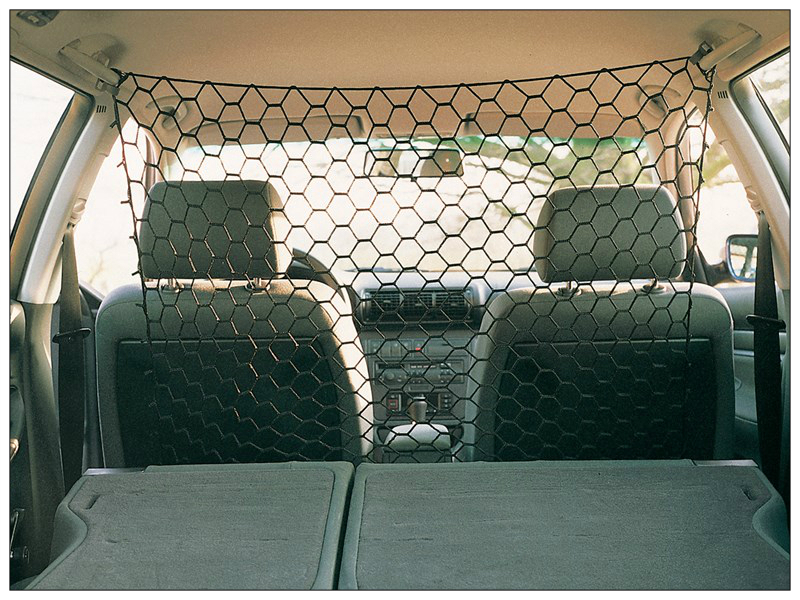 Still, a barrier is an excellent place to start if you have been driving without using any protection for your dog. If you have a small dog, a mesh barrier is just the thing you need. They are not very expensive, and you will be able to watch your dog with ease. Not that we recommend it if you’re the one driving. Mesh barriers are very easy to install thanks to their shape. They are typically stretched across the gap between the front seats, like a fitted sheet across a mattress. 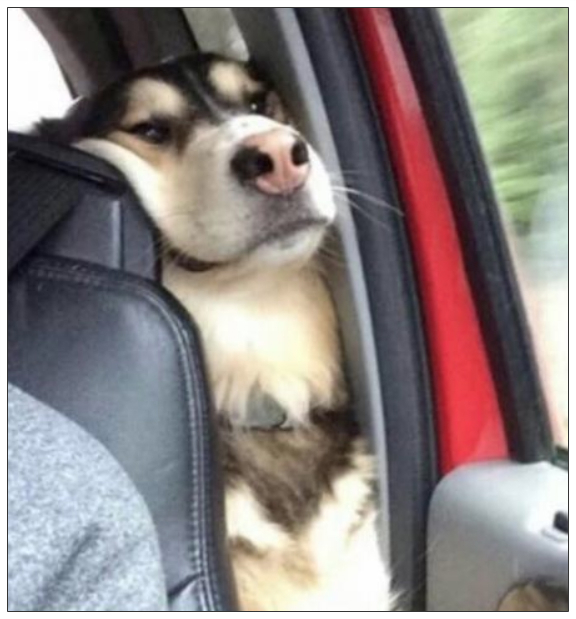 Just attach the barrier to their corners, and will keep your dogs in the back seat, even if they get out of the bet booster. A mesh barrier is not something you want if at least one of your dogs is large or too active! By their very design, such barriers only work for small and passive dogs. They cannot keep a dog out if it’s determined to get to the front. Hammock barriers have two purposes rather than just one. First, they, like any other barrier, will keep your dogs in the backseat. Second, they are a suitable replacement for a car seat cover and will protect the car’s seat. They are named “hammock” barriers because they literally make a hammock for a dog when stretched between the headrest of the first and the back row. Unlike many other barriers, hammock barriers can offer proper shock-absorption for your dog. But they do have disadvantages. A person cannot seat in the back seat when a hammock barrier is installed. This can be a grave obstacle if you travel with your family. They also make installing a car seat harder, which can be a problem. Their main advantage is the protection of the back seat. Unlike a cover, a hammock barrier can keep a dog off the seat itself. Even if the barrier is punctured, the seat won’t be damaged. It is a perfect barrier for a dog of any size. If you’re using a cargo barrier, you won’t be using a dog booster. Installing it would be too problematic. 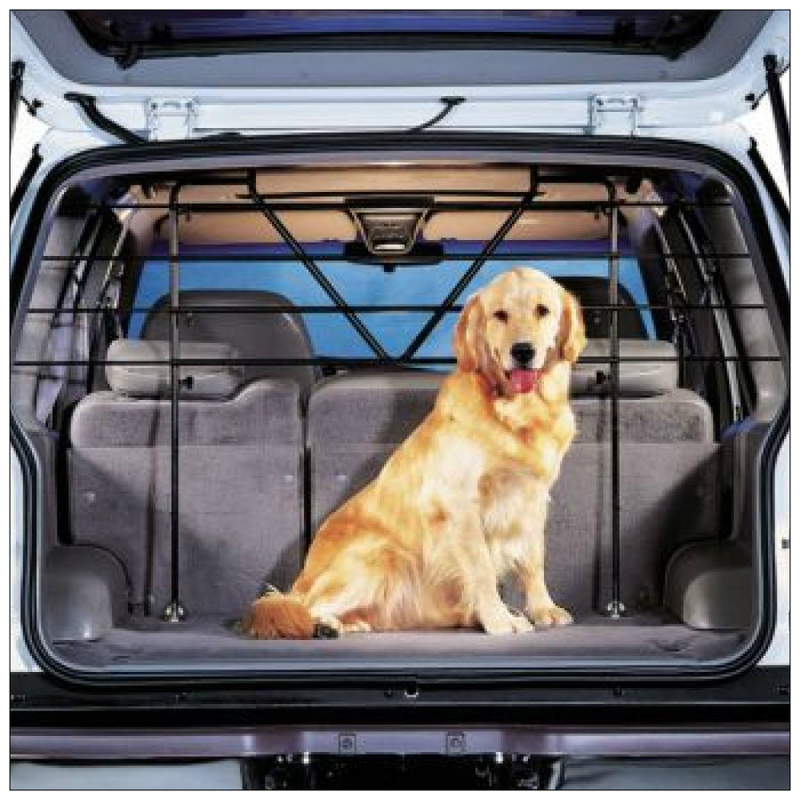 The primary purpose of a cargo booster is to keep the dog in the cargo area. Such a barrier will work for dogs of any size, but we only recommend it for large dogs. Cargo boosters are incredibly sturdy and rigid. They will not offer any shock absorption for your dog, as they are mostly made of metal. They will keep the dog in the cargo area and prevent distracted driving, but they cannot and will not offer any extra safety for your friend. These barriers can only be used in vehicles with rear cargo areas. A reinforced fabric barrier will be your best and safest bet. These barriers work for most vehicles and most dogs. They do not impede installing a pet booster, and they will not be quickly brought down by an overexcited pet. These barriers are made from rugged and rip-resistant fabrics, and the seams are reinforced with metal in some key areas. Your traveling options are not limited if you travel by car. Usually, it’s always your call if you should use a booster or a harness or if you should install a barrier. Your car, your rules, you’re the one in control. But when it comes to traveling by plane, things become more complicated. You will be bound by so many regulations, it will be very hard to meet all of them. You will have to take a lot of things into account, and you will still have to face the unexpected. Our first tip may seem like a veiled taunt, but still, the first thing you need to do is to determine if you really need to take your dog with you. If you’re going on vacation, the answer should be no. You can and may bring your friend with you regardless, but don’t say we didn’t warn you. If you’re moving permanently, you will probably answer yes. And that’s a good thing, too many people leave their pets behind as it is. But if you don’t plan to follow their example, you need to keep in mind a few things: for your dog’s safety and to save yourself from extra trouble. It’s not always possible to bring your dog in-cabin. 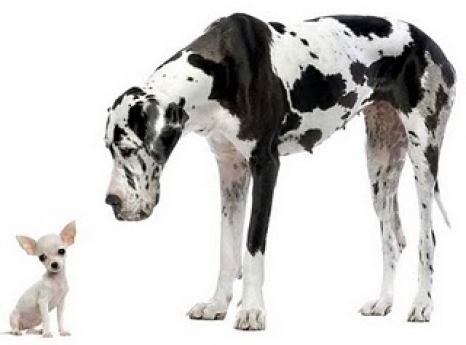 The dog’s size is the first factor everyone will take into consideration. The airplane is not yours (unless it’s a private jet), and most airlines do not tolerate large dogs kept in-cabin. Airlines do not regulate the size of the dog, but they do have standards for the pet carrier, where your dog must be able to fit (naturally). The carrier should be small enough to fit under the seat in front of you. What does it mean? It means you can only bring a dog under 15 pounds with you. If your dog is larger than that, putting it in a small carrier can be considered animal abuse. But what about service dogs? Fortunately, requirements for service and therapy dogs are laxer. You may bring them with you in-cabin even without a carrier. If there is one thing easy to disregard when it comes to flying, it’s the how temperament the dog is. 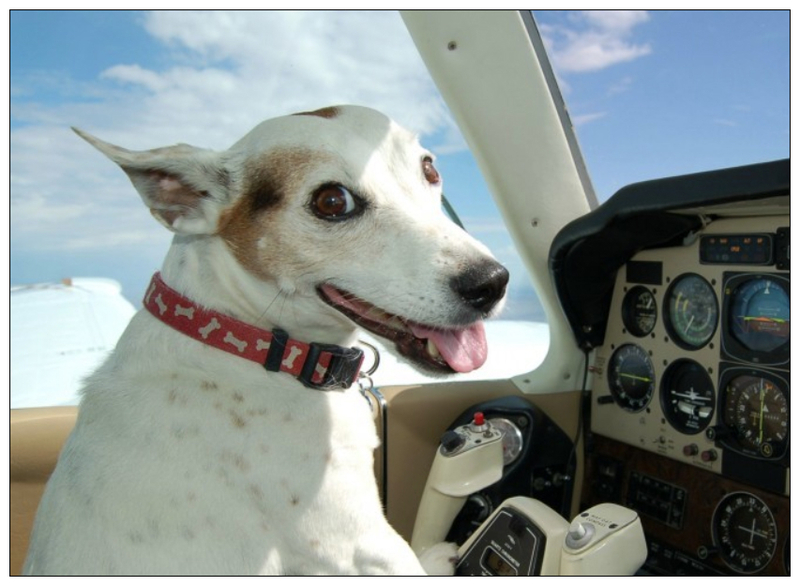 What many people don’t ever think about is the fact not every dog has the right temperament to fly. If your dog is easily stressed, perhaps, you shouldn’t take him with you, even if you’re moving. For a dog with high-anxiety levels flying can be torture. If you love your dog, you shouldn’t do that to him. Leave him with your friend or use the services of a dog resort or dogsitter instead. If your dog is not easy to traumatize but is excitable and vocal, we recommend that you carefully consider what kind of flight you take. Choose a small aircraft if you can. That way your little friend’s barking won’t bother too many people – or anyone at all. Some airlines won’t allow a vocal or poorly trained dog on board, and it’s your responsibility as a dog owner to keep that in mind. We’ve already found out that the dog carrier must be able to fit under the seat in front of you. However, that doesn’t say much until you get on board, and it’ll be too late by that point. 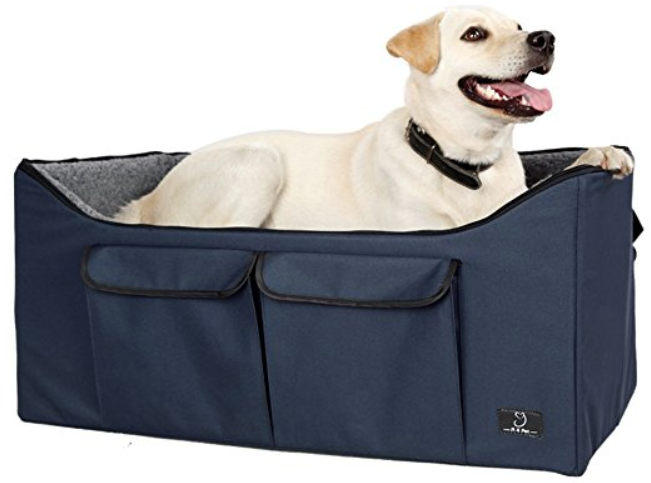 Fortunately, your airline probably has requirements for the type and size of pet carrier you need to use if you want to bring your pet with you. You should look them up online before even buying the pet carrier. Still, these requirements can be generalized. As a rule, the carrier is required to be ten inches in height and between sixteen and nineteen inches in length. Of course, it can be smaller than that, but don’t go overboard. 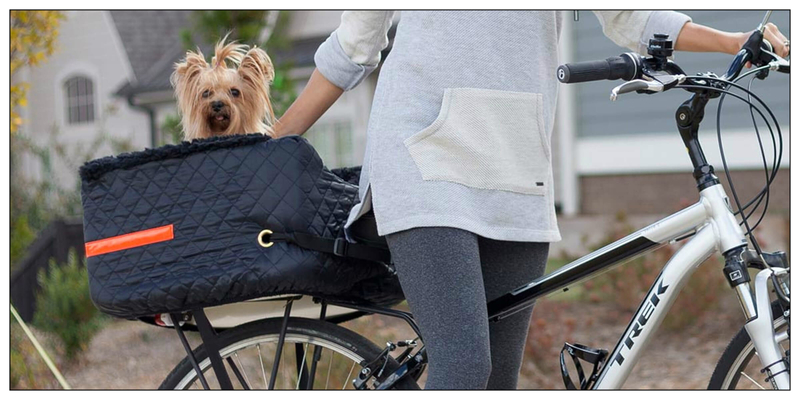 A carrier too small for your pup can stress him out even more. Another thing you have to remember that a dog carrier is considered a carry-on. You bring it with you, you bring one of two personal items you’re allowed. It will be a good idea to get a pet carrier with extra pockets if you want to keep things like a tablet readily available. When you fly with your dog, your usual approach to packing and preparation may not be enough. Usually, if your baggage is lost, it is bad, but it’s not too terrible. But when people travel with a dog, they usually pack things like treats and toys, bowls and food. And when those are lost, your furry friend will not be amused. Do bring at least a few toys and treats with you in-cabin, and don’t forget a bowl. While you won’t use them during the flight, they may come in handy if your baggage is lost. We can’t stress enough how crucial calling ahead is. There are a few reasons for that. First, airlines allow only so many dog fly in-cabin. If you don’t call ahead, you may find out that your doggy is one dog too many. Make sure to book a spot for your dog before someone else does it for theirs. Seconds, some flights allow passengers with dogs board first. You will probably be given a seat in the middle of the cabin. Seats there have more room, and you will quickly fit the dog carrier there. Traveling with a dog is not the same as traveling without one. It’s just about preparation, regulation and behavior, there is such a simple thing as money. Perhaps, you should check your budget once again if you were not aware of those extra expenses. The amount of money you will have to pay varies from airline to airline, but bringing a dog with you will not be cheap, that’s guaranteed. Make sure to find out just how much it’s going to cost you. The extra fee may very well be over a hundred dollars. If there is one thing you should always expect any airline to require, it’s your dog’s health certificate. Sometimes, they will tell you they need it, sometimes, they expect you to know that and only demand it before you’re ready to board, and sometimes, they won’t ever mention it. But you should always assume that they will. A health certificate is not expensive, especially not if you compare it to the extra fees you’ll have to pay to the airline. And it is very important for airlines and many other facilities. Your dog may be potty trained. He may be very smart, and you love him for it. But even if he is trained and intelligent, he’s still a dog who doesn’t always realize what’s going on around him. In such a high-stress environment, an accident can quickly happen. And that’s when a dry pad will come in handy. Still, it’s better not to use them as a toilet all the time. If you believe your doggy wants to pee, bring him to the restroom. It’s not like taking him for a walk, but it’s still a better option. You can do a few things to make the trip easier for yourself and your dog. First of all, walk your dog before leaving. Not just to help him relieve himself, it should be a very long walk, so that he becomes exhausted. In that case, he will probably fall asleep when you board the plane. It’s difficult to excite a tired dog, and you have to use that. 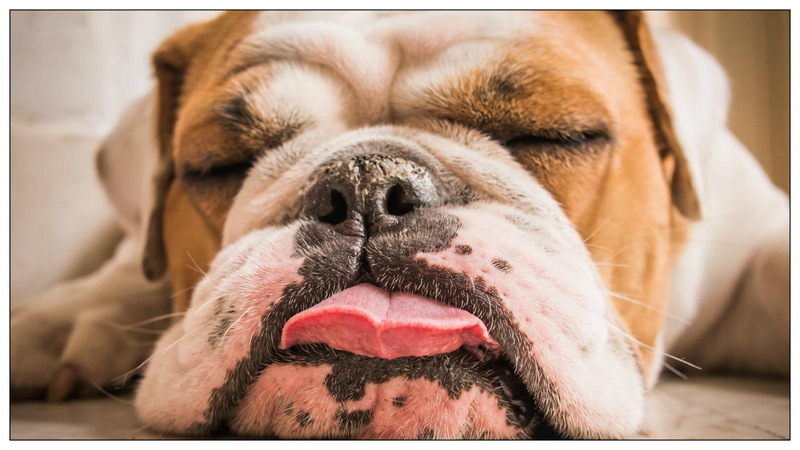 Let your dog spend as much of his energy as possible, and you will find out that he can be very quiet and calm. Second, don’t feed your dog in the morning before the flight. Also, don’t give him water two hours before boarding. It’s not animal abuse if that’s what you’re thinking. 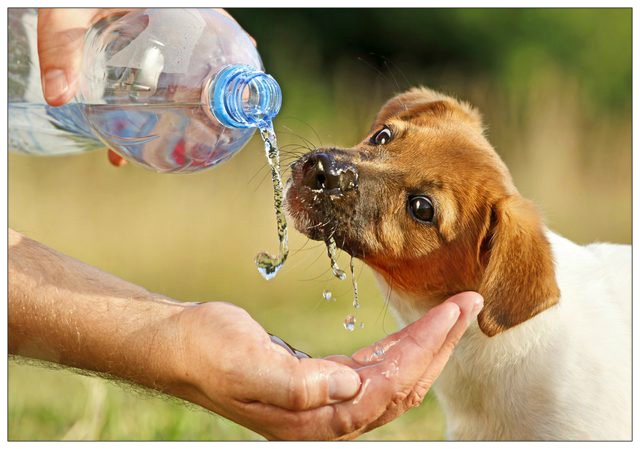 Your dog will not be dehydrated after a few hours, but those few hours will prevent accidents. As for food, being a little hungry might make him feel a little bit more comfortable when flying. Humans are not very different, after all. If your flight lasts longer than a few hours, you will have to let him drink water to prevent dehydration. Don’t give him too much, or you’ll have to carry him to the restroom all the time if you even react on time. But don’t let him be parched either, that is not healthy, especially for a dog. The best way to gauge water is to give your dog an ice cube to play with. It’s an excellent way to hydrate a dog and entertain him. You can get them from a flight attendant. If you think you only need to keep the dog in the carrier in the cabin of the plane, you are mistaken. It’s the same for airports. Most of them only allow pets in pet carriers. However, you will find that going through security is an exception to this rule. 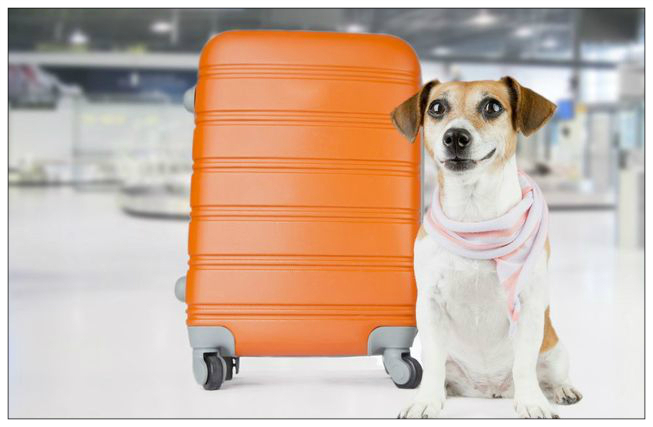 Your dog will have to go with you through the gate, and the carrier will be treated as any other carry-on. If you’re lucky, you may be allowed to let your dog stretch his legs when in the gate. But, only if you’re lucky. Sometimes, people don’t even think about the fact that the plane’s environment can be very different from weather conditions, and when they do, they don’t know how exactly. They are. But some planes have floor air conditioners. And you understand how severely it may affect a pup whose carrier is standing on the floor. What to do? Pack an extra blanket in the case it is too cold for your doggy in the cabin. Another option is to use one of your t-shirts. Chemical restraint is the last resort method. If you need to take your dog with you badly, but it’s super-easy to excite, and you cannot help but take him with you, chemical restraint if your last resort. It should be obvious why. Drugging a pet for your convenience alone should never be acceptable. Using sedatives may have adverse effects, such as nausea, asphyxiation and others. That is why using sedatives should not be taken lightly. Don’t even consider using them unless you have an extremely nervous dog, and even the sedatives should be administered by a veterinarian. Always remember that using sedatives can, in fact, make your dog even more uncomfortable than he was. Nobody knows your dog as you do. 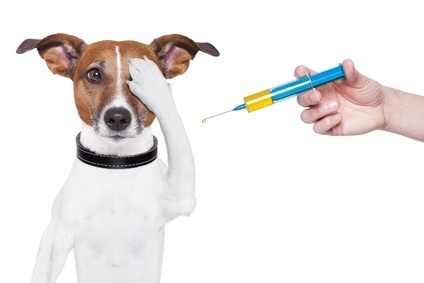 If you have reasons to believe administering sedatives can traumatize your dog, don’t do that. You may be unaware, but many airports have facilities for dogs. Or even are required to have them, for certain type of facilities. Service dogs exist, and airports are obliged to provide a place to walk them. If your flight is delayed, you can use that area. It’s usually quite small, but your dog will have the opportunity to do what needs to be done. If your flight is delayed, you will have to use that place sooner rather than later. 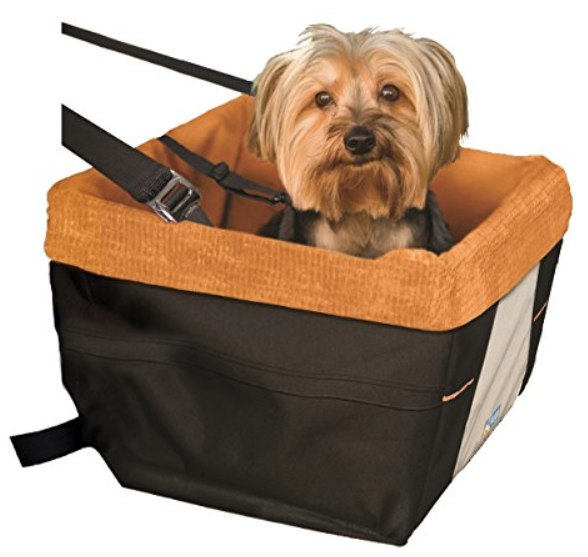 One of the options for safe riding for a pet is a carrier. However, carriers are not necessarily the best choice when it comes to safety. Still, while they are not made for safe riding specifically, they can be used as a restraining device. On top of that, they do have their advantages based on their fundamental functions: you can use them to carry easily excitable pets without any worry. Car seats are still better, but they cannot offer any extra option. They are safety devices, period. You can’t carry a dog in them. You will have to let the dog out of the seat and carry the seat itself. Is there a solution? There is. 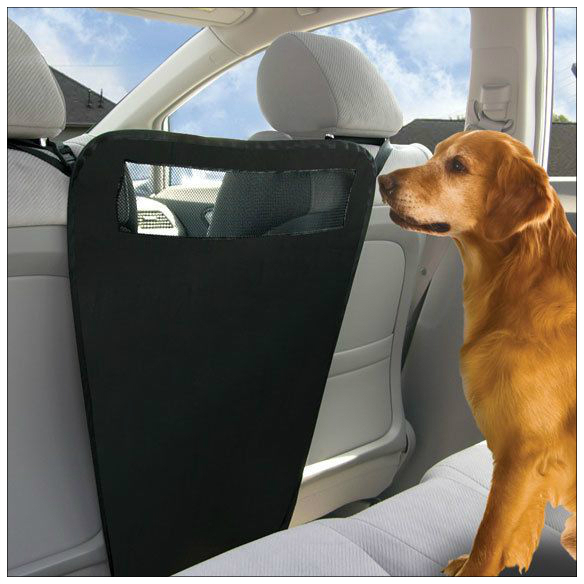 With this pet car seat carrier, you get the best features of a pet carrier and a booster. The Pettom car seat carrier offers just as much protection as an average booster, but it is also a carrier, which means you can use it to carry your dog with you. And, as you might expect, this product can offer a lot more than just that. First of all, it is durable and easy to clean. Perhaps, it’s not enough to make it a deluxe product, but it will make your life a little easier. 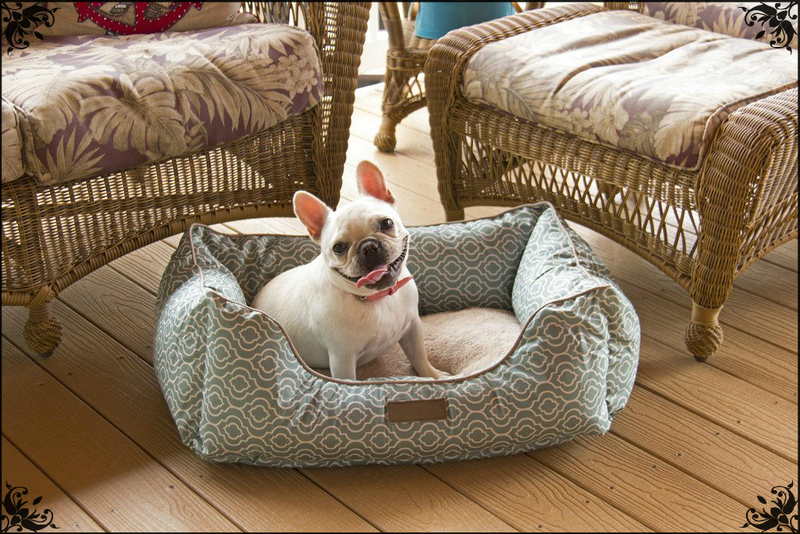 Stylish and comfortable for your pet thanks to the mesh panels, it is also easy to fold and store. Storage is always a problem for any pet booster owner, but not if you get this one. Just fold it flat and put wherever you want. Worried about your dog jumping out of the carrier? Don’t be, the seat is equipped with safety leads designed to prevent just that. This pet booster is ideal for small dogs and cats. Alternatively, you can buy it for a puppy of a larger breed, although you won’t be able to use it for a long time in that particular case. 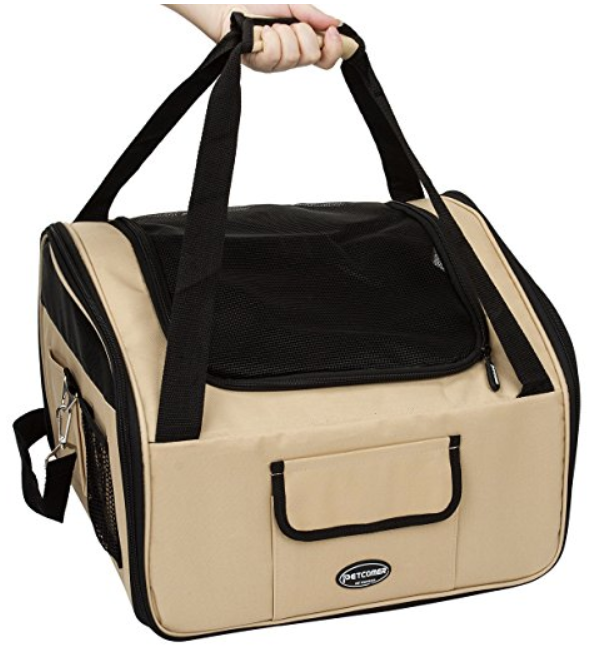 The carrier is equipped with pockets where you can store any dog treats or other necessities. Getting a pet car seat is just the beginning when it comes to traveling. If you buy it, you get a means to transport your dog safely, but that’s it. While essential, it is not enough in most cases (although it may be enough in certain situations). 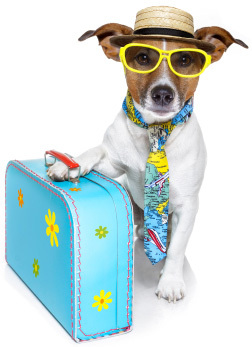 There are many other things you will need to consider before planning a trip with a pet. First of all, you need to decide on what kind of trip it will be. I’m not talking about transportation or anything like that. It’s obvious. But things like the destination, the duration of your stay, or if you’re just moving to your new home aren’t, and they are more critical for accommodating your pet than any car seat. After all, a car seat is only good for traveling, and it’s entirely useless when you aren’t driving. Another thing to keep in mind is that all pets are different in their preferred lifestyle, and not just different species. Dogs and cats both can be very individual when it comes to their needs, likes and dislikes. However, you should be aware that many pets prefer active lifestyle to any other. Being constricted in a car seat for an extended period can be a torture for an active dog. Of course, any pets that tend to enjoy and savor laziness may not be too uncomfortable even if they have to drive for hours, but another thing you must keep in mind is their bodily needs. I doubt you would be overfond to find your car smelling of your dog a little too strong. 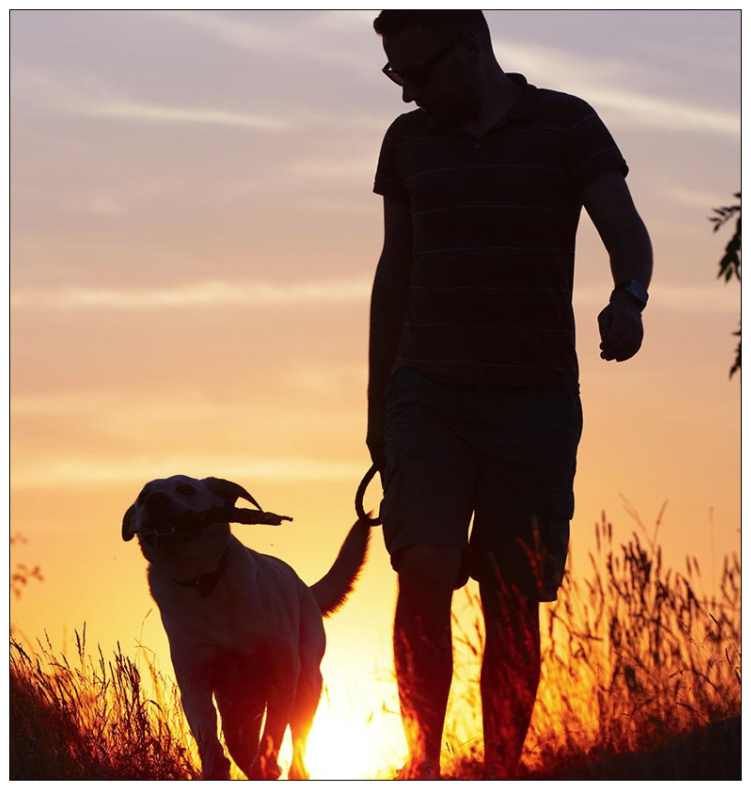 Do not forget to walk your dog now and then when you’re traveling! It would be best to adjust your regular schedule a little bit because dogs often become overexcited when traveling and that can lead to undesired accidents. Of course, if you get a car seat with a built-in litter box you will mitigate the problem somewhat, but you still will have to make stops from time to time. But any surprises your dog may have for you will not have disastrous consequences, so there is that. This is one of those instances where just getting a car seat will suffice. But that’s only because you’re probably taking everything your dog needs with you. That includes such essential items as food, medication, toys and pee pads. However, you’re only restricted by your common sense and your dog’s actual needs. No arbitrary rules will be imposed on you, which is a boon. The downside is that resort owner have usually considered all possible situations, but nothing stops you from researching such a resort’s rules to serve as an inspiration for yourself. Dealing with a dog resort does not seem very simple unless you already have some at least kind of experience with it. But, regardless of your experience, it’s not too hard in reality. Dog resorts are interested in you as a customer. That is why lack of information is not something you will experience. However, it’s only right for specialized doggy resorts. Sometimes, hotel and boarding houses do allow pets, but they don’t go out of their way to accommodate them. While there may be additional rules and regulations, finding out about them will require an effort on your part. Luckily, any rules concerning pets have a ground, and that means that many rules and regulations are very similar. This requirement is the most critical of them all and above any other. Even if you travel on your own, you should always make sure vaccinations are up to date. They are not a device to make your life harder. They are something that might prevent your pet from contracting a disease. When traveling abroad, vaccinations are a must. Not only will they protect your pet from endemic agents, but there is also a possibility you will simply not be allowed to cross the border without them. For your sake, please consider preparing appropriate documentation beforehand. 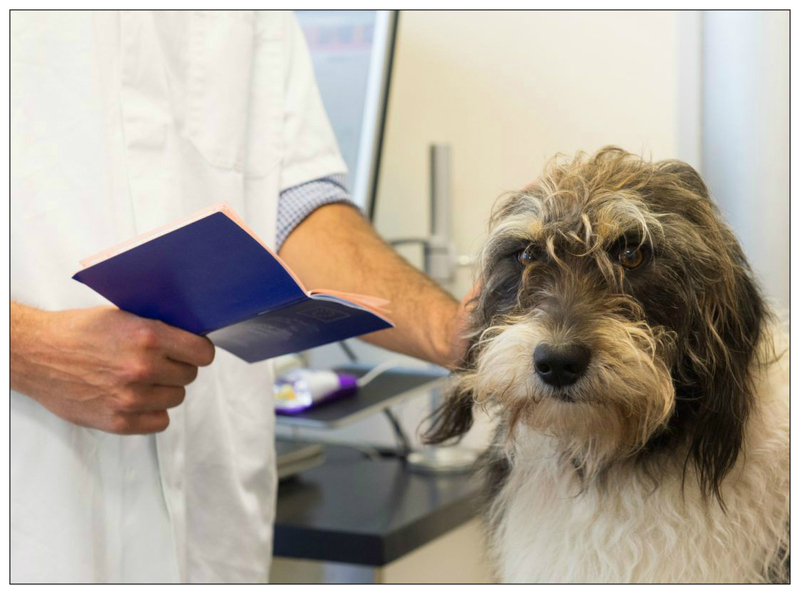 However, even if you are limiting yourself to domestic voyages, you should be aware that most pet resorts and facilities that allow them might require that your pet is vaccinated. No vaccinations means you won’t be allowed. It’s sad, but it’s true. It is best to submit appropriate paperwork to the facility of your choice for approval before actually acting on any further plans. Food is something that should be obvious. But is it always? When you take your pet with you, you don’t have to worry about food, as a rule. You know your pet’s tastes, you know what treats to take with you and so on. As long as you don’t forget to take any, you should be good, right? However, there are at least two possible situations when you may be caught by surprise. First, you end up in a location where your pet’s regular food is just not available. This is especially true when traveling abroad. The kind of food your dog likes may not even be imported in the first place, and you will have to take it with you. We recommend that you take enough of your dog’s regular food plus extra 25% in case your stay will be extended. Second, you are going to leave your dog at a pet resort, where they may not have the type of food your dog prefers. But even if they have the right kind of food or your dog is not particularly picky, we still recommend that you take enough of your dog’s food plus extra when leaving it at a dog resort. 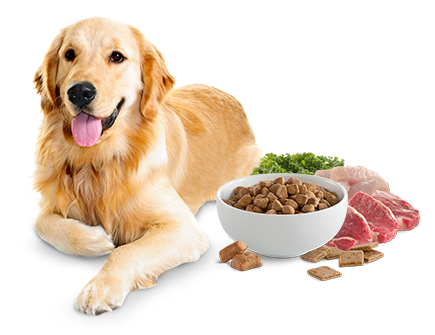 Not only will that ensure that your pet will have the kind of food it likes, but you may also save some money since you won’t have to rely on overpriced foods the resort will provide. One more thing, do make sure to pack some of your special pet treats and take your time to instruct personnel at the dog resort as to when to give them to your dog. Sometimes, vaccinations are just not enough. After all, their purpose is to prevent a dog from contracting disease, they are not a cure, and they can’t alleviate the symptoms either. 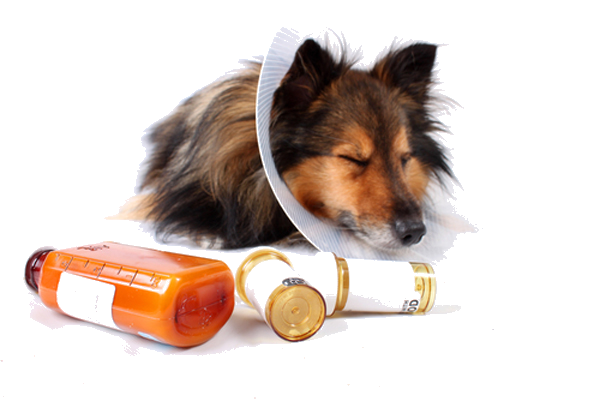 Not many dogs need medication, but if your dog does, then you will have to take care of it before making any further plans. We don’t recommend taking just enough medication to last. Taking at least a little extra should be the best course of action. Again, we recommend 25%, as this amount should cover any unforeseen reasonable delays. 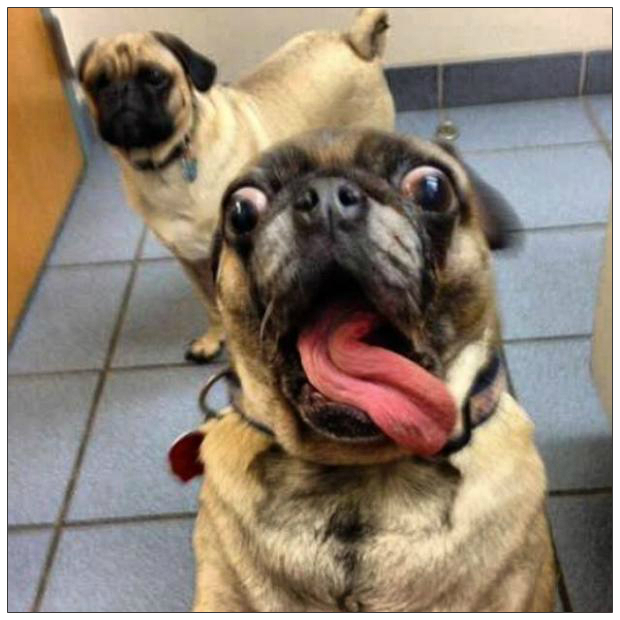 Never assume a pet resort has any medication your dog might need. Even when it comes to something as simple and non-critical as a pee pad, it’s better to err on the side of caution (even though it’s not a medication). Seeing to your dog’s comfort is your responsibility, especially if you don’t leave it at a dog resort. But even if you do, their personnel can only do so much. If you want your dog to enjoy the life to the fullest, you should take care of everything beforehand. If, however, you don’t rely on resorts, independent preparations are your only option. The first thing you need to remember to take with you is the collar. Granted, it’s something you probably would have thought of without a reminder, but still, we can’t stress enough just how crucial it is. When traveling abroad, do remember that requirements for keeping a dog muzzled are different in many countries. You may have to purchase a muzzle if your dog is required to be muzzled where you’re traveling to. Still, if that is the case we recommend leaving the dog at home if you’re only going abroad for a short period. If you do take the dog with you, buy a muzzle before traveling and let your dog get comfortable with it. While a dog’s needs can be quite modest and usually are, they may have such thing as favorite bedding or clothing. If it is the case with your dog, we highly recommend that you pack its favorite blankets, bedding, dog sweaters and jackets – anything you and your dog like. Why is this important? Dogs may be different from us humans, but there are things we share. We need to belong, and we need something that belongs to us. Pet clothes are one such thing. And if you are a cat person, then you know felines are even more independent than humans. They just don’t like being dressed, but they will appreciate if you pack their favorite blanket. As for canines, they are pack animals. They will appreciate both your care and things of their own. Speaking of those, clothes and blankets are not the only things a dog knows belong to it. Let’s not forget about toys. One of the least essential items, it is also one of the most important when it comes to your dog’s well-being. Pack the favorite toy for your pet, and you will make him or her happy. Toys are not essential for safety or, indeed, comfort, but they are vital for keeping your dog occupied. If you are worried about being distracted by your dog, and the harness doesn’t make you confident, then a dog toy is precisely the thing you need. Is there a better way to keep a dog restrained other than let him do all the work? 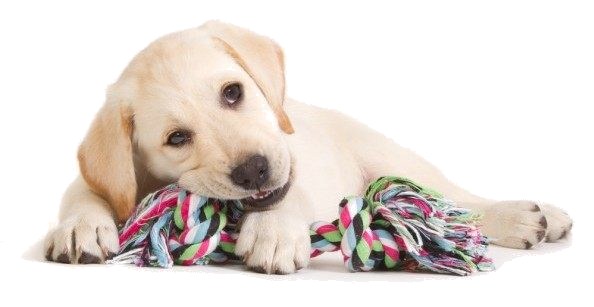 A chew toy will keep your pooch’s attention. Your dog won’t move too much even without a pet booster. Not that you shouldn’t use it, they are safety devices, after all. You will find out that toys are handy even when you don’t put them in the booster for your dog. After all, it’s entirely possible that your dog has too many toys to fit them into the booster. Or, he doesn’t need them because of how much he enjoys the view (if the pet booster’s design allows that, which it should). Even then, toys can be beneficial on a trip. A simple example. When you leave the dog at a resort, his favorite toy may be essential to keep him happy. More so than his clothes or blankets. You may be away for a while, but your dog will have access to everything he has always had access too. And isn’t that wonderful? If you do leave the pet at a pet resort, you will have to deal with paperwork. Doesn’t sound right, does it? Unfortunately, paperwork is the bane of all of us, and there’s little we can do about that. It may be evil, but it’s a necessary evil. The good news is, you will be provided a form to fill out on arrival. All you have to do is to fill in the blanks. It’s less complicated than writing down everything by hand, although such practice is quite rare these days. On the other hand, while there is a practice that is obsolete, there’s a relatively new approach each of us is familiar with: digital paperwork. We recommend using the services of those resorts that offer online registration forms. Grooming is something many people forget about when traveling with their pets. Of course, there are “low-maintenance” breeds, so to speak, and breeds that require so much attention to their grooming that forgetting about it is merely impossible, but, on average, grooming is needed, if only somewhat, but not planned. Is it critical? No, of course not. Can it be important? Absolutely. If you leave your dog at a pet resort, you don’t have to worry about that. Still, it is unlikely that the personnel will do any grooming without your request, at least, beyond basic hygiene. It would be best to discuss it with them. But if you’re traveling with your dog yourself, you are the one responsible for any grooming he might need. And while bathing is not too complicated a process, and can be easily arranged anywhere, other procedures, such as nail trimming, require some preparation and forethought. The answer to this question depends on where you’re going with your dog. 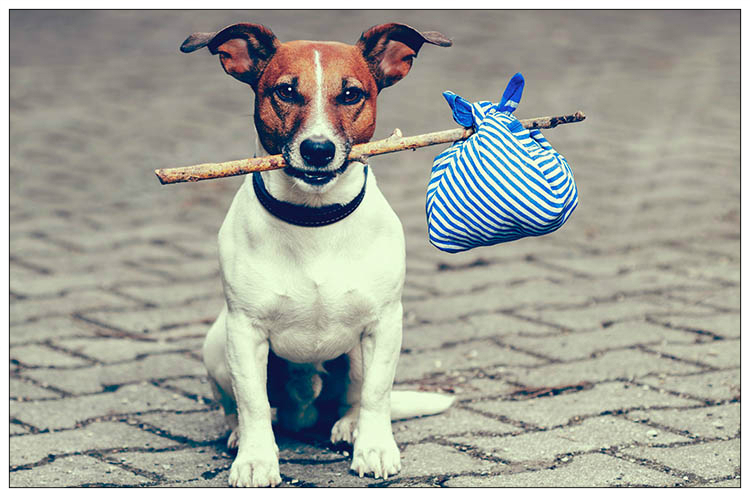 If you plan on leaving him at a pet resort after a short trip, then the number of items you must take with you can be limited to everything mentioned above. But if you plan on traveling with your dog all the way to your destination, then you will have to take care of many things you wouldn’t think of. You may need a feeding bowl, a water bowl, a lead and a leash, as well as anything else you use for walking your dog, including waste bags. That may seem obvious, but people forget obvious things all the time. We recommend making a list of any essential items at least a couple of days before doing the packing. If you forget to pack something for your pet, it’s possible you won’t have the opportunity to get it somewhere else. 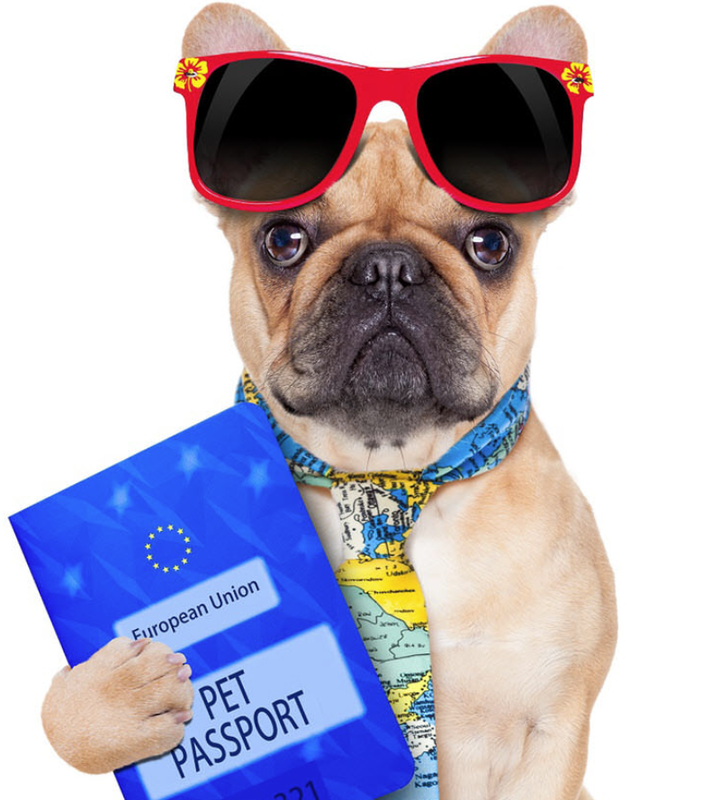 Pet commodities can be harder to come by, especially if you travel abroad. Speaking of resorts and trips, traveling with your dog and leaving it at a resort both have their advantages and disadvantages. Leaving your dog at a resort can be very convenient. You get to go on a trip without having to go out of your way to accommodate your pet while you’re at it. You will save a lot of money and effort, as well as spare yourself from less than pleasant parts of traveling with your pet, including lots of paperwork and other things. That’s the reason pet resorts exist. If you plan on traveling abroad, you should always choose the resort unless you have a perfect reason not to. Crossing the border with a pet is a lot of trouble, you can trust us on that. You must be ready to deal with many problems if you choose not to use the more convenient option. It can be worth it, of course, if you leave the country for a relatively long time. By the way, it’s the period that may make the resort option unacceptable. And it’s always different, depending on the pet and yourself. If you hate to part ways with your Fido even for a short time, perhaps, you shouldn’t. Another concern is how your pet will be treated. Granted, pet resorts employ professionals who will do everything in their power to keep the animals in their care happy, but that’s the thing, everything in their power. That doesn’t make them omnipotent and omniscient. Perhaps, they just don’t know your dog as well as you do. And, either way, that may have their hands full with all the dogs to pay special attention to just one of them. This is the last advice we can give you. No matter where you go, no matter where you leave your dog or if you take it with you, it is essential to keep one thing in mind: it’s all about fun. For you and your dog. Use your common sense and let loose. Don’t just slavishly follow any advice step by step. Do anything you can to create memorable experiences, no matter what exactly you do. Let your dog have fun, too! If that means leaving him at a resort, do that. If that means taking him with you, do that. 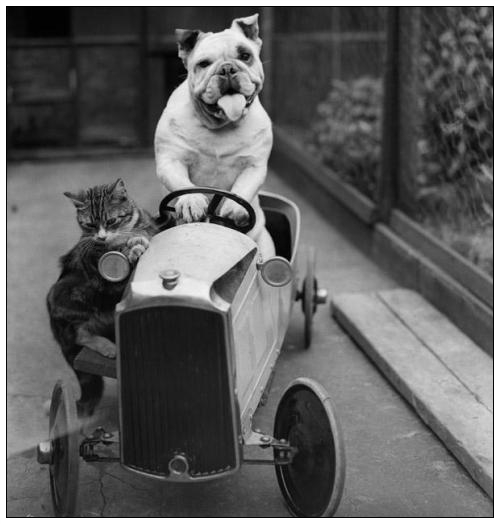 There are several types of pet vehicular safety devices. They include pet car seats, also known as booster seats, and harnesses. As you have probably guessed, car seats are functionally the same as standard car seats for babies. How to install a pet booster? As a matter of fact, it’s quite easy. But before we get to that, you need to find out how to pick the best booster for your pet. If your dog weighs up to 30 pounds, you should have no problem finding a booster for it. Most of them are designed to accommodate pets that weigh 30 pounds or less. But if your dog is a larger breed, you need to be very thorough, or you may end up with a booster you can’t safely use. Is there a workaround? Most definitely. Get a dog harness and attach it to the seat belt. That will make booster riding much safer. Do note, it’s only necessary if your dog is massive. There is no need to buy a harness for smaller breeds. Once you have bought a booster for your dog, you must get familiar with the straps. Unlike regular car seats and boosters, the straps of pet car seats are far from uniform, but their design is still dictated by logic. 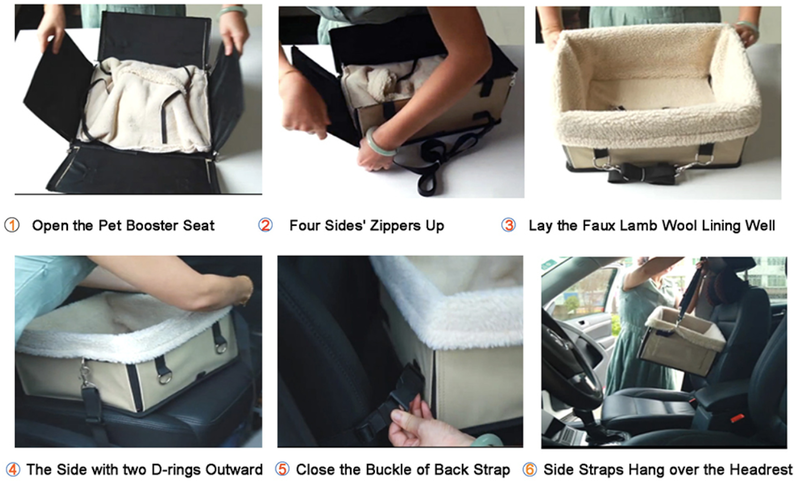 A typical pet booster seat will have three types of straps: those at the back of the seat used to attach the seat to the car seat, the straps at the top of the booster, which connect to the headrest, and the straps at the body of the seat attached to its head. These are used to restrain the dog. Now that we know that, how do we use a pet booster, then? It’s not complicated. The first thing you need to do is to attach the booster itself. Attach the strap at the top of the booster to the headrest and then, the straps at the bottom to the back of the car seat. Sometimes, the strap is too short to do that. If that is the case, put the car seat belt through the booster strap to keep it in place. Is there a way to make riding even safer? There is. All you need to do is to put your pet’s favorite oy in the booster seat. That will keep your dog occupied. Placing a blanket there will make it even more comfortable and also provide additional shock-absorption in the event of a sharp deceleration. If the instruction manual you have on hand contradicts any of the instruction provided by us, give preference to your manual’s instruction. Traveling with an unrestrained dog is outlawed in many areas, mostly due to the dog being a potential distraction. It’s dangerous, not only for the dog itself but also for you and others on the road. Texting while driving is known to be a criminal misdemeanor in certain jurisdictions. However, the same thing can be true for being distracted by your pet riding in the front seat. And, it is unlikely that regulations concerning pets are going to become lax, the opposite, however, is much more likely. In places like British Columbia, you will find yourself fined if you let yourself be distracted by your pet. And it’s not some small fine either. Distracted driving is dangerous. But if you can just put your phone away or pull over to answer a call or a text, your dog may distract you in the most unfortunate moment. Letting the dog seat on the back seat is not enough, especially unsupervised. Dogs, small dogs, in particular, can easily find their way into the front seat, and there you have it, your distraction. But distracted driving is just one of the concerns. Aside from that, your pet’s safety is also something you really should consider. Dogs have a smaller frame than a human, and they are more fragile because of that. Even if you do use a restraint system, you should avoid putting the dog in the front seat for the same reason you shouldn’t put a baby there. An airbag is not meant for them and can cause a grievous injury when deploying. Traffic regulations exist for a reason. They are not merely a tool for police to throw the book at you or any other driver. If there is a regulation or even a recommendation, the best you can do is keep up. Restraining your dog is something you will have to do sooner or later if you travel with it. If you google it, you can find a lot of tips on how to restrain a dog. However, you must understand that there are many ways and purposes for restraining canines, and not all of them are even tangentially related to car seats. You will need to restrain your dog in a very specific way. Putting on a leash, which is technically a way to restrain a dog, will not suffice, whereas sedating is too much – but a chemical restraint is still a restraint. When using car seats or similar products, it is important to remember just why they are required. By restraining your dog in a dedicated car seat, you accomplish two things: ensure your dog’s safety in the event of an accident and prevent it from distracting you by moving around in the vehicle. Of course, it won’t stop the dog from barking, but it is not something pet car seats are designed to do anyway. We strongly advise against using light restraint methods. You must wear seat belts when driving. A restraint such as a seat belt is precisely the thing that protects you, and it should be able to protect your dog as well. You can use a dog car seat or, alternatively, a harness. A harness must not press against the neck of the dog. It is not a collar and should not be treated as such. A harness that runs across the neck can kill the dog in a traffic accident. Even though you love your dog, you must be aware that your pet can get very upset when you put the harness on, especially if this is the first time. But an upset dog can bite you, even if it loves you. When putting the harness on, don’t put your face in front of the dog. 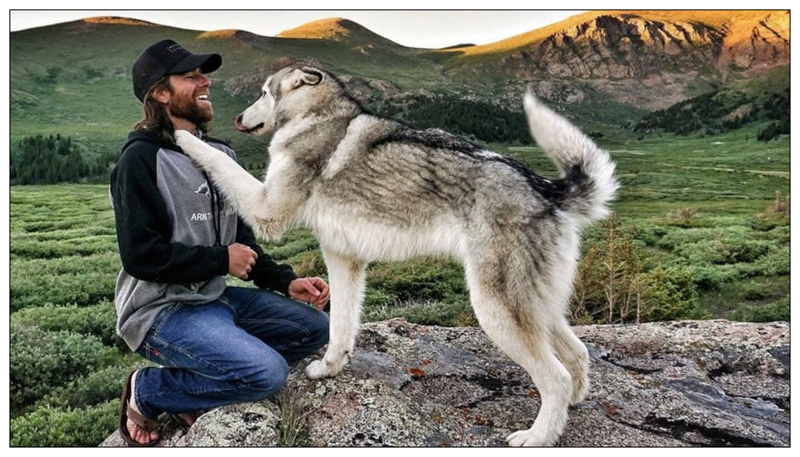 You are inviting it to bite you that way, and even if the dog holds back, you won’t like the consequences. Cleaning a dog seat is very like cleaning a regular car seat. However, a few details make it a little bit different. Two things a dog can do a child can’t are shedding and, well, poop. Not that children don’t do that, but if they aren’t potty-trained, then they wear diapers, and you can’t make a dog wear them. As for shedding, this problem is already well known to you. Is there any good news? Most definitely! We are talking about pet car seats. Shouldn’t the manufacturers have thought of all the possible issues beforehand? They did! A pet car seat manual should include an extensive cleaning instruction. But that’s just the tip of the iceberg. It is not the best part. 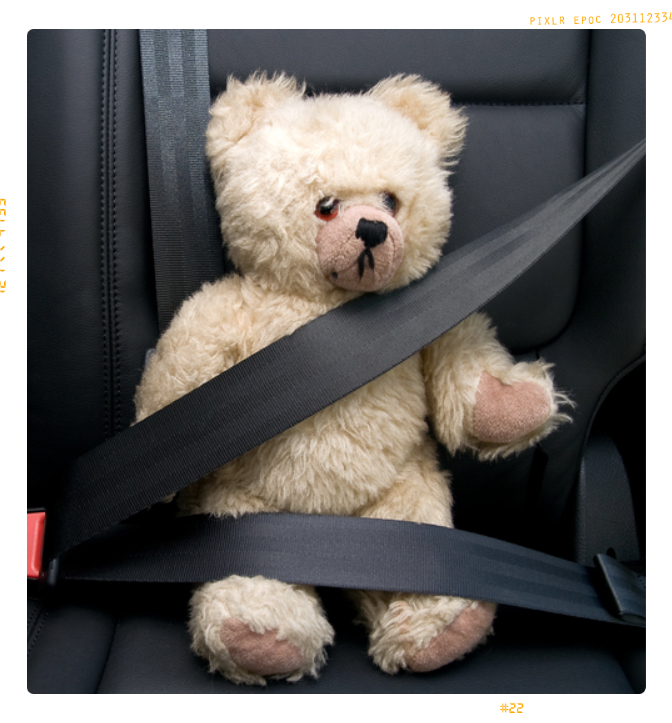 The best part is that a pet car seat is specifically designed to handle such contaminations. Getting a dog to seat in a dog car seat can be very stressful both for your dog and for yourself. Many dogs, nervous though they may be, calm down very quickly. Many, but not all of them. If your dog is easy to excite, and you’re worried it will be hard to get it to seat in the car seat, there are a few easy steps you can take. The rule of thumb is that you should take baby steps. What it means for you depends on your situation and the dog. Where to start? Try setting the car seat on the ground first. Don’t put the dog in the car seat, let it get accustomed to it first. If the dog gets in the car seat on his own, good. If not, try putting some dog treats there to get the dog take them out of the seat. That should make any dog more comfortable with the seat. If it doesn’t, just be patient. Of course, it’s not a good idea if your time is running short, but if your dog is timid, you should have taken any steps necessary before actually going on a trip. Reward your dog for showing confidence, and it will be as comfortable in the car seat as it is in your hands in no time. Regardless of how timid your dog is (or not), making a pet love a car seat is one of the things you will have to do. If a dog associates the booster negatively, both you and your dog will not enjoy your rides. Even if your dog is not timid, it would still be a good idea to use treats and toys to get the dog to like the car seat. If the dog loves the car seat, it means you have a happy dog and a happy owner. It is always best to have a dog get into the car seat without your help, at least, for the first time. Especially when your dog is already fully grown. An old dog can still learn new tricks, but you need to be very patient. If your dog does not sit in the seat at first, that’s fine. In fact, you shouldn’t expect that. Instead, take your time and reward the dog for patience and confidence. Adjust your dog to the new booster seat, and you will experience no problems later. The first car seat ever was made back in 1932, shortly after mass production of cars began. It wasn’t a pet car seat as we all know it. It was a device that resembled a crate. It wasn’t made for dogs specifically; its purpose was to hold any pets of any size. Somehow, it had a better design than its successor that was created in 1936, which was essentially a sack. While comfortable, the level of protection it could offer was just non-existent. But the first car seat ever was far from perfect as well. The first pet trailer comfortable for a dog appeared in 1957. It has water and food bowls, and dogs were free to move around. Dog car seats of today are more sophisticated and better in every way.